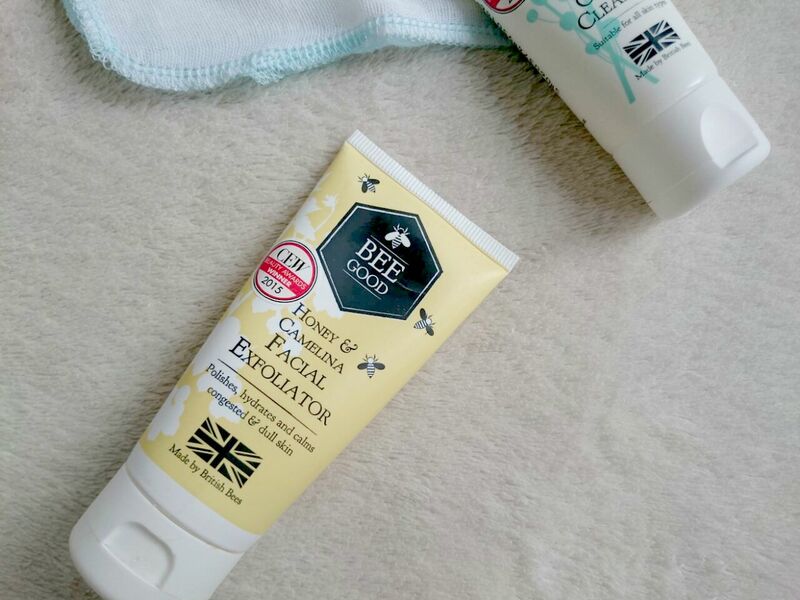 I've reviewed and tried almost all of Bee Good's products now, the only two products I'm yet to try is the Daily Moisturiser and Hand Repair. I've loved each and every product so far so when I found out about their newest item, I was eager to try it. The Honey & Camelina Facial Exfoliator was recently released and I had a tube fall on my door mat so I could give it a test drive. I love exfoliators, the grittier the better for me so I took my make up off with Bee Good's Cream Cleanser and Cleansing water ready for a good scrub. 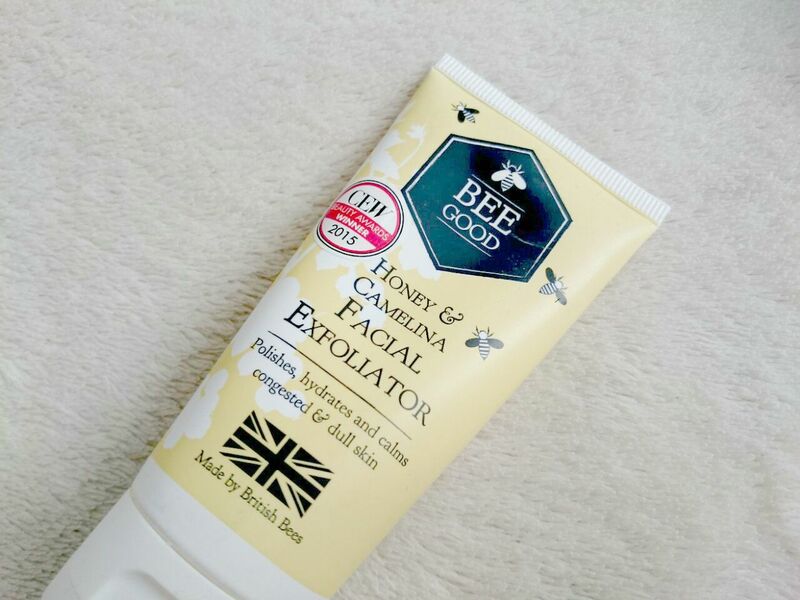 The Facial Exfoliator contains Honey and Camelina which moisturise the skin deeply while the milled Lavender flowers do the tough bit exfoliating your skin while causing no irritation. 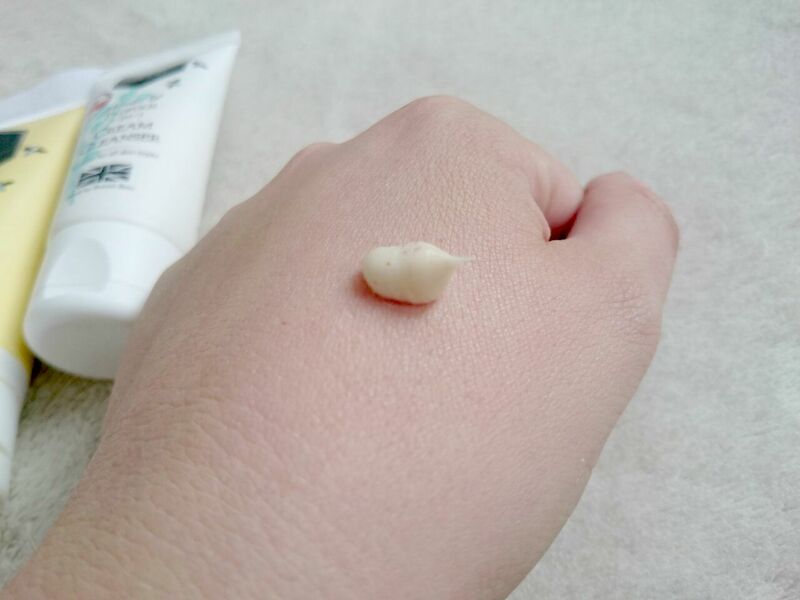 It comes in a handy tube so you can control how much you use, dispensing a cream with little granules in which is very much the same consistency of their cream cleanser. It smells divine and very natural which is exactly how I like my skin care. My skin was left buffed, smooth and really clean. I've been using it twice a week and my skin has been loving it. The packaging is the same as other items in the range with the exfoliant being in a lemony yellow shade. This might be a weird observation with no meaning but I took mint green to mean face products, lilac their hand products and yellow for lip products so I was expecting the exfoliator to also be in mint green packaging. I do love the packaging though, it's modern while still being cute and the majority is a matte texture so they don't slip out your hands when they're wet. If you're yet to try Bee Good.. Why?! The range really is fab and it's available online on their own site and Urban Outfitters. It's also available in some Waitrose and Fenwicks but you can check which stores on their website. If you have tried Bee Good before let me know what you're favourite product is. I think it's worth mentioning that this Exfoliator is in no way gritty. The milled lavender is extremely gentle, making it quite a delicate exfoliator, perfectly suitable for sensitive skins (like me), and everyday use. I don't think you can describe an exfoliator as not 'gritty' personally.. That's what makes an exfoliator. This is however much softer than most and I really love it! Well, exfoliators come in scrubs, chemical and enzymes. Referring specially to scrubs, they don't always /have/ to be gritty to get the job done, but they might be considered less effective. The milled lavender is far too soft to be considered grit IMO, which is why it's perfect for sensitive skins that might find girtty exfoliators too harsh. As my skin as always been sensitive this is perfect for me because the grittiness is just right. When discussing products we all have to remember that everyone's skin is different so in this case you may not find it gritty... I do.